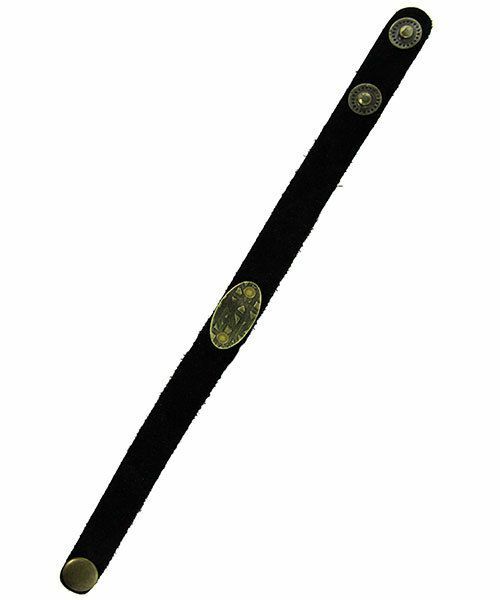 A decorative ID tag that is perfectly suited for attaching to flat leather cuff bracelets and other similar items. The tags have a slight curve making them excellent for a bracelet. Each tag has a pair of 2.5mm holes for attaching. Compression rivets work great. 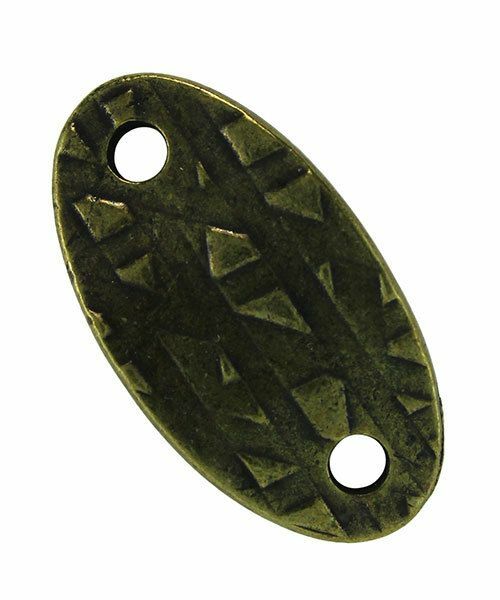 These tags are cast pewter with an oxidized brass plating. The tags measure approximately 25 x 12mm and just over 1mm thick. Sold in a package of 2 pieces.